Amazing hotel. Everything was perfect from the spa to the food. The staff was amazing! Great location away from the tourists and surrounded by great restaurants were most locals eat. A perfect 10!! 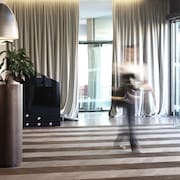 Which hotels are closest to the Florence airport? 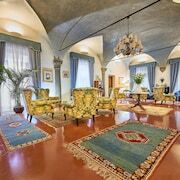 Can you find accommodation in popular areas of Florence? 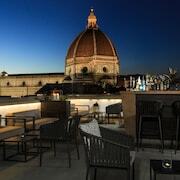 Where to stay near top Florence attractions? What kind of hotels are in Florence? 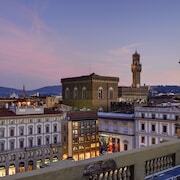 Which hotel chains are in Florence? 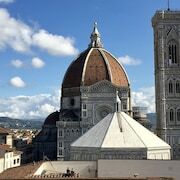 History buffs will enjoy exploring Florence (province), and visitors give high marks for the fascinating museums, cathedral, and renowned art. This city also attracts tourists with its architecture, cafés, and monuments. Top sights in the city include Cathedral of Saint Mary of the Flower, Ponte Vecchio, and Stadio Artemio Franchi. The city is well known for its museums and art, and cultural venues include Accademia Gallery, Santa Maria Novella Basilica and Museum, and Bargello. Notable for its cathedral, historic sites, and monuments, the city's landmarks include Cathedral of Saint Mary of the Flower, Ponte Vecchio, and San Lorenzo Church. The picturesque setting of Piazzale Michelangelo and Boboli Gardens exemplify the city's natural beauty. 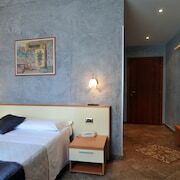 Poggio Baronti B&B - Amenities at this bed & breakfast include free breakfast and a free stocked minibar. 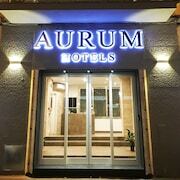 It's a favorite with Expedia travelers for its breakfast and clean rooms. KF Deluxe B&B - Our customers like the helpful staff and location at this B&B. This bed & breakfast in Duomo features free breakfast, free WiFi, and a free manager's reception. 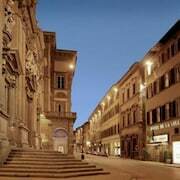 Canto degli Scali - Guests staying at this apartment in Duomo can enjoy access to parking and free WiFi. Expedia customers like its helpful staff and bathrooms. Other favorite sights in Florence (province) include Stadio Artemio Franchi, Fortezza da Basso, and Florence Baptistery. A top sight outside the city is Collegiate Church of Santa Maria Assunta, located 27.2 mi (43.7 from the heart of the city. If you want to journey outside of the city, ride aboard a train from Fiesole Caldine Station, Florence-San Marco Vecchio Station, or Florence-Le Cure Station. Florence (province) might not have as many public transit options so consider renting a car to explore the city. Florence, Italy is called “The Birthplace of the Renaissance,” and is a must-see for history buffs and art fans. This World Heritage Site has too many historic buildings to visit in one vacation. It is also said to have the greatest concentration of art in the world, so you have plenty of choices when it comes to museums and galleries. Walk over the famous Ponte Vecchio and discover the little stores along the bridge, or find yourself mesmerized by the old masters at the Uffizi Gallery. The picturesque look of the city is also perfect for romantic getaways and relaxing solo trips. Whatever your reason, Florence is worth a visit on your next trip to Italy. 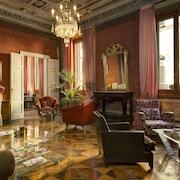 Florence accommodation is so numerous it exceeds the demand, creating competition among its hotels and guesthouses. Great deals can be had in off-season, too. 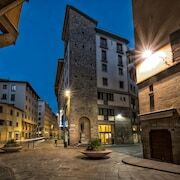 The city is known for its boutique hotels, many of which are hidden away in the courtyards of heritage buildings. 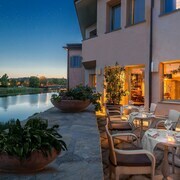 Hotels in Florence come in all price categories, so rest assured that Expedia.com.au has the right place for you to sleep at the right price for your wallet. Florence is fantastic to visit any time of year. To enjoy winter in Italy, come during December or January, when temperatures average 10 to 11 degrees Celsius. If you prefer warmer weather, come in April, before the summer heat sets in. June and July see average high temperatures of 27 to 31 degrees Celsius, but summer is also festival time in the surrounding cities. 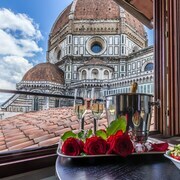 Whether you’re after a city lodging or hidden bed and breakfast, browse our specials for Florence hotels here on Expedia.com.au today and we will find you the cheapest price. Additionally, you can search for our best prices on flights for savings across the board. Florence will be one of your highlights when you spend time in Italy, so book your stay with us today. 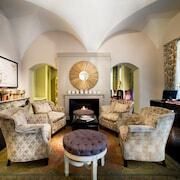 What are the most popular hotels in Florence? 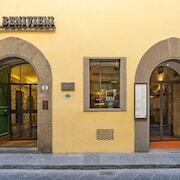 Are there hotels in cities near Florence? 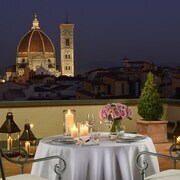 Explore Florence with Expedia.com.au’s Travel Guides to find the best flights, cars, holiday packages and more!